Ants don't hold back their wrath. They terrorize home and business owners without thinking twice, so the following facts shouldn't be hard for you to believe. Some species are called slave-making ants because they are as aggressive as an attack dog. They ruin other colonies by waylaying the ants and killing their queens. If you take this into account, you will better understand how important it is to protect your home. Ants are like humans in that they will do just about anything to feed and expand their own colonies. Your home and your business provide the ideal conditions that these critters need to survive. However, with regular pest control treatments, your properties will be less vulnerable to an ant invasion. Inside the nests of some ant species, fungus is cultivated. Scientists have always thought that these specific ants only worked with their own kind, but new research shows that they will actually transfer cultivars to other ant species. For home and business owners alike, this is bad news. If fungus-growing ants are willing to work with their neighbors, there's a real possibility that the ant species in your community will do the same. This simply means that you would have to deal with an even bigger infestation, which would cause a greater degree of property damage. Thankfully, you can turn to Sorenson Pest Control to get a long-term solution. Did you know that several ant species have a poisonous sting that can kill you? In fact, fire ants are responsible for at least 20 deaths every year. Their method is very effective. They will use their strong mandibles to latch onto their victim, and then they will plunge their stingers into their victim's skin. What comes out of the stinger is an alkaloid venom. It would be in your best interest to keep all these facts in mind because they will help you to remember not to underestimate any ant species, especially fire ants. They are definitely a force to be reckoned with. When you spot a trail of ants marching around in your home, you shouldn't turn a blind eye to it. Also, you don't have to panic. The best way to deal with these critters is to report them to a professional pest exterminator. 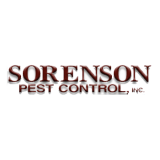 Sorenson Pest Control is at your service all year.